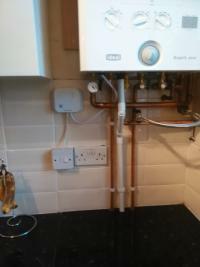 SP Heating and Plumbing is focused on giving a first class friendly service to all my clients, i feel it is very important for the customer to have a excellent working relationship with the engineer as at the end off the day its your home that is being worked on and you and it need to be respected. I have been in the industry for over 4 years and gas safe for over 2 years. whether you require an up grade to your existing heating system or a complete new installation i will be able to supply a very competitive quote and assure you the work will be done to a very high standard, there are always plenty of options when doing an installation so i would be very happy to discuss the type of boiler and installation that suits your needs and budget. All work is fully insured.